LOS ANGELES--(BUSINESS WIRE)--KB Home (NYSE: KBH) today announced the election of Dorene C. Dominguez to its board of directors on July 13, 2017. The addition of Ms. Dominguez expands the board to nine members, eight of whom are independent. Ms. Dominguez was also appointed to the board’s audit and compliance committee. 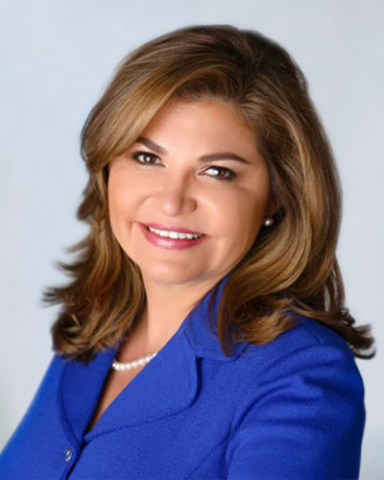 Ms. Dominguez is the Chairwoman and Chief Executive Officer of the Vanir Group of Companies, Inc. and its subsidiaries, Vanir Construction Management, Inc. and Vanir Development Company, Inc. The firms collectively specialize in all aspects of commercial and institutional real estate development, project delivery, and construction management services. Ms. Dominguez is an active member of various community improvement projects, boards and commissions, including chair of The Dominguez Dream, which serves elementary schools in underserved communities by providing academic enrichment programs in math, science, language arts and engineering. She is a current member of the Latino Studies Board of Notre Dame University, Pride Industries Board of Directors, Coca-Cola Hispanic Advisory Council and Cal Chamber Board. Ms. Dominguez also serves on the board of directors of CIT Group Inc. (NYSE: CIT), and is also a member of the CIT Bank, N.A. board of directors.